"...I would wear these overalls to a nice brunch on Sunday, followed by a visit to the local farmer's market. These overalls would make me look very trendy, without trying too hard and it would also just be comfortable to wear around a busy day! Before the weather gets cold, I want to take advantage of the warm sunny days as much as possible. So, I would wear a white eyelet crop top under the overalls to add in another trend. In case it gets a little chilly, I would add on a loose-fitting cardigan in a neutral color. Finally, I would wear my favorite pair of black leather chelsea boots to toughen up the whole look, and avoid looking like a little child. 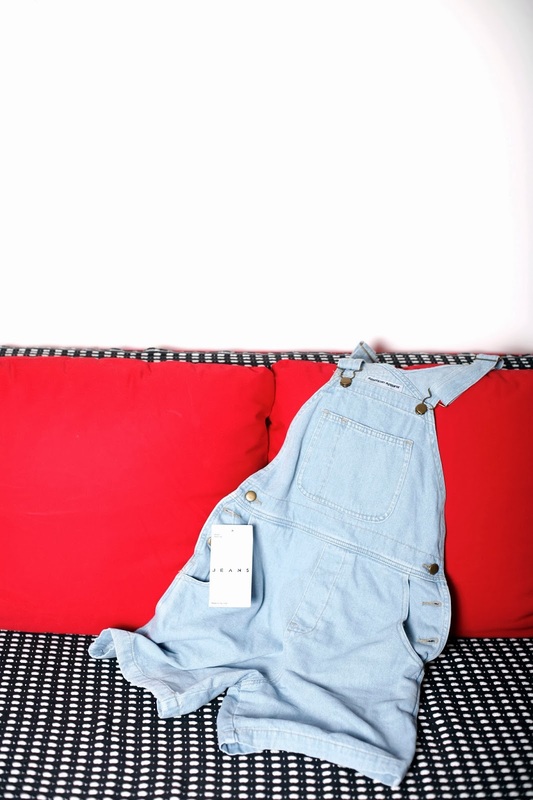 :P It's all about making the overalls work for you, and to embrace this 90's trend!..." Well done Dahye~! And thanks so so much for those who had entered the giveaway! More exciting giveaways are on their so don't forget to follow Ezzentric Topz on bloglovin' , facebook, and instagram for latest updates! !